As China grapples to discover ways to remedy the harmful haze that hangs over Beijing and other cities in the winter, Researchers from Georgia Institute of Technology have raised a serious doubt on one projected cause: high quantities of ammonia in the air. In recent years wintertime air pollution has gained attention in the scientific community causing some Scientists to suggest that ammonia, released into the air from automobiles and agricultural activities, could be a precursor that strongly stimulates the development of the haze. The Georgia Tech team disputed that theory in a research published September 21st in the journal Scientific Reports. The research was sponsored by the National Science Foundation. With China and other countries exploring ways to reduce air pollution, it’s important to understand the chemistry behind how that haze forms. What we’ve found is that the atmospheric ammonia is not a large driver of those air conditions, as has been proposed. The team used latest computer modeling to analyze the chemistry of how nitrogen oxide and sulfur dioxide – two gases released into the atmosphere from coal-burning power plants and other fossil fuel combustion – interact to form sulfate aerosol, one key cause of the haze that can cause havoc on human health and the ecosystem. Typically, sulfate aerosol is produced through a chemical reaction that oxidizes sulfur dioxide to form sulfate particulates. In that process, water is absorbed by the sulfate as it is produced and tends to make the particle very acidic, which shuts down certain pathways for further sulfate formation. Some Researchers have lately proposed that Beijing’s high levels of ammonia – which is a base, or on opposite side of the acidity scale – could subvert the standard sulfate process, keeping the particle neutral long enough to develop much higher concentrations of sulfate via a new chemical pathway. 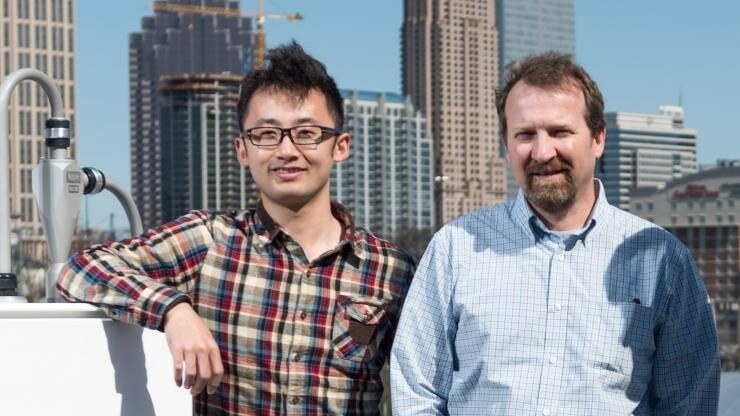 The Researchers at Georgia Tech analyzed that theory using a computer model that performed a thermodynamic simulation of the aerosol conditions across cities in the East China Plains. The Researchers examined numerous atmospheric scenarios by varying the mix of aerosols, meteorological conditions and gases several ways. Constantly, the model indicated that elevated ammonia had comparatively little impact on the acidity of the pollutant particles. Even a 10-fold increase in ammonia above regular conditions made the aerosol only a minute amount – only one pH unit – less acidic. The outcome was also true in the reverse; decreasing ammonia 10-fold made the air only marginally more acidic. The Researchers established that particles stay too acidic, even for the very high levels of ammonia in Beijing, for sulfate haze to be created through the projected new pathway. The Researchers found that the slightly acidic air across Beijing could stimulate high rates of sulfur dioxide oxidation through interaction with transition metals such as copper, iron and manganese discharged into the air from local sources such as fly ash, car brakes and mineral dust, which could be another crucial contributor to toxic pollution events and a source of intense particle toxicity. Other Researchers at Georgia Tech have linked the extreme haze in China in the last few years to changing weather patterns caused by climate change. Controlling ammonia emissions overall seems to be the proposed strategy for mitigating air quality problems in many regions of the globe, but our work shows that it is not necessarily the most cost effective way to go. You certainly don’t want to ignore ammonia emissions, but there can be other ways to get the biggest bang for the buck in terms of air quality improvement, such as limiting sulfur dioxide and nitrogen oxide emissions from coal burning power plants.